It is easy to see which remodeling company is the most professional and offers the highest quality work by reading a few reviews. The former clients of GRC Builders LLC prove that this company is able to make any homeowner’s vision for their kitchen become a reality. What makes this company the best is their dedication to the workmanship of each member of their team and their customer service. This combination is something that other Colorado contractors simply have not mastered in such perfect harmony. 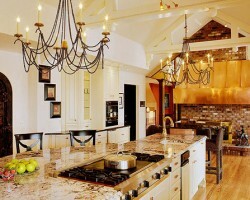 Three Week Kitchens is a company that will never take longer than this time to complete kitchen remodeling in Denver, CO. This company can completely gut the space and start from scratch or repurpose the area or even simply paint the cabinets. The amount of work that you would like done is guaranteed to be finished in less time than you might have expected. There will be little interruption to your life and you will love the final results of the work that is done. The kitchen is one of the most used rooms in your home, which is part of the reason it is one of the hardest to remodel. Understanding this is what puts Gruber Home Remodeling ahead of the competition. This Denver kitchen remodeler will work closely with you to make sure that the designs are to your liking and also to come up with a construction schedule that works for everyone. 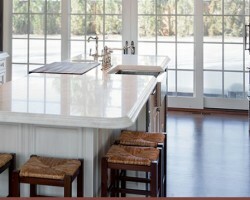 This is all part of achieving the mutual goal of providing you with the kitchen you have always wanted. 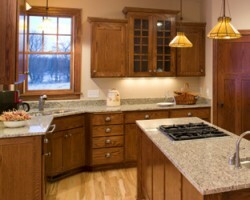 Sander & Sons, Inc. is one of the top local remodeling companies that is focused on providing clients with custom kitchen cabinetry and countertops. While this company does not often take on kitchen remodeling that starts from scratch, they work on the largest aspects of the room to create an entirely new look for the space. This company has been operating in the area since 1996. Since then, they have helped countless homeowners create kitchen spaces that are both functional as well as beautiful at relatively cheap prices considering the quality of the work. 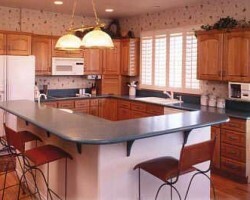 AG Contracting & Roofing is a design and construction company as well as a kitchen remodeling contractor. This team has experience creating custom cabinetry so you can make the most out of a unique space, installing granite and stone surfaces and even fitting lighting in the space. This team has the skills and the eye for style and detail that mean they can complete a kitchen remodeling project from start to finish. This company also works to keep the entire job as affordable as possible.